Miss Thailand Patraporn Wang was crowned Miss Intercontinental 2014 in the coronation night held at Maritim Hotel, Madgeburg, Germany on December 4, 2014 evening (December 5, 2014 3am in the Philippines). 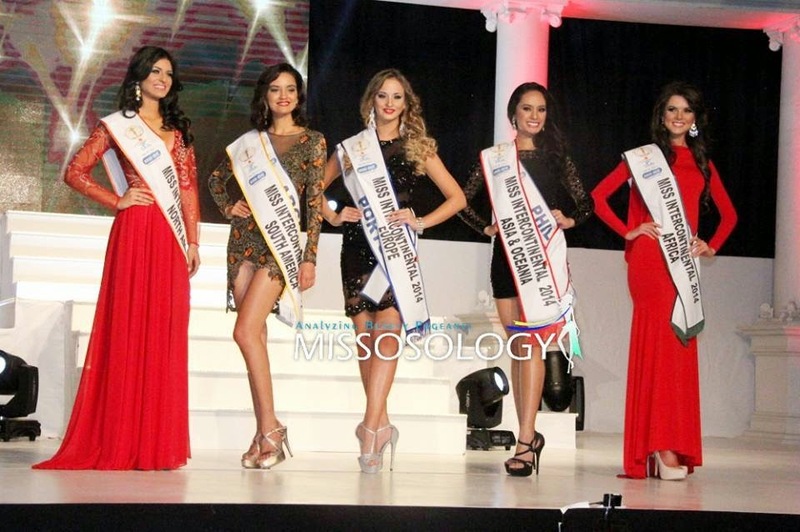 Miss Cuba Jeslie Margal won as first runner-up, while Miss Philippines Kris Tiffany Janson clinched the second runner-up spot. 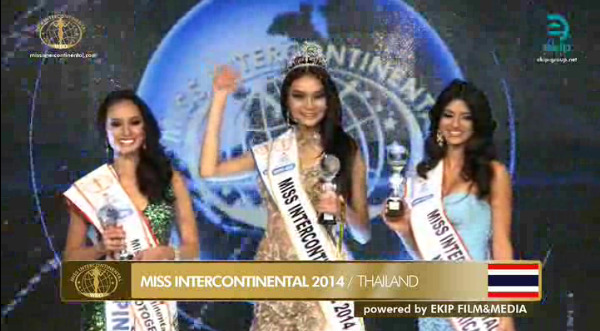 Wang bested all the other 71 contestants in the 43rd edition of Miss Intercontinental. 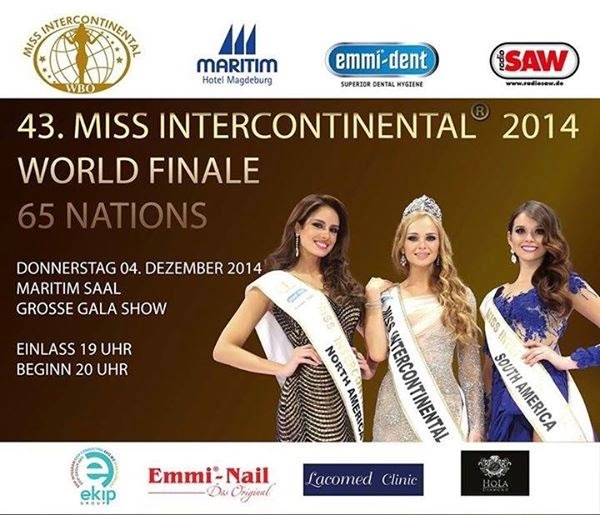 The Pageant started in 1971 only as a teen pageant. It was originally 5 finalists only who were called - one finalist for each continental region. But then another contestant was called. It was Miss Thailand who, according to the tabulators, tied with the scores of Miss Philippines. But rumors spread that Miss Thailand was not able to answer the question given her: "How will you explain the color red to a blind person?" Question given to Miss Philippines Kris Tiffany Janson : "If you were to meet a famous celebrity, no matter if still alive or dead, who would you like to meet and why?" Her answer was: "If I were to meet a famous person, I would want to meet Malalai Yousafzai. She's a kid who fought for her right for Education. I may not be able to jump into a bullet to fight for my right. But I do have a voice. And if I would be lucky enough to bring home the crown, I would have a louder voice and be the voice of the voiceless and use this to help more people and bring happiness and joy to other people. Daankishen!"